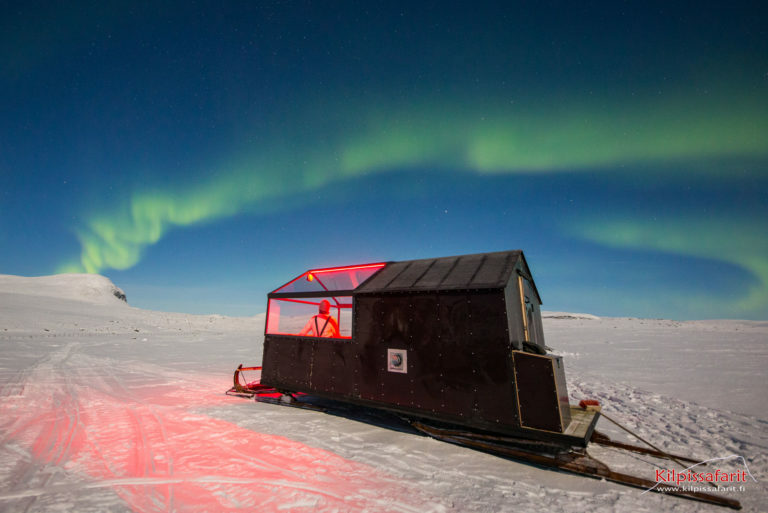 The Wilderness Camp is made up of three mobile sleeping huts which are placed each winter season in the best possible wilderness locations for the Northern Lights. Each hut has a gas stove, super wide bed, table, heater, dry toilet and includes the use of snowshoes and kicksleds which add to this amazing wilderness experience. 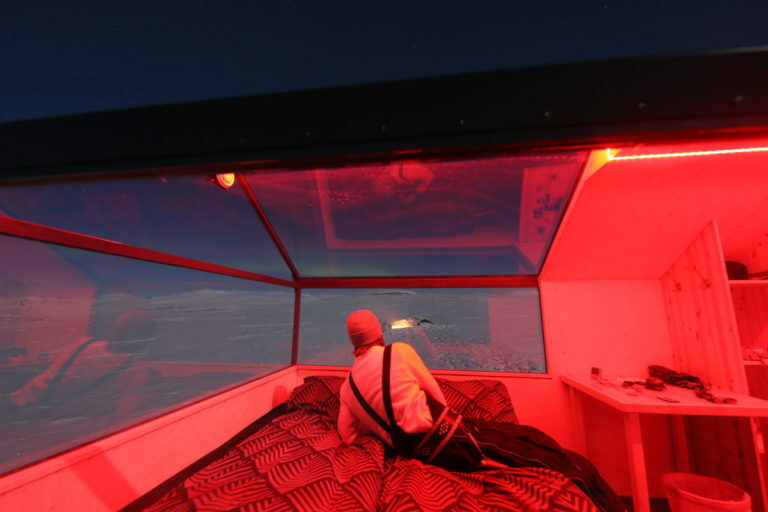 Their most amazing feature however is their glass roof allowing guests to lie back and gaze out at the stars and hopefully the Aurora, making for a truly unforgettable experience while on your Northern Lights holidays. Each hut comfortably sleeps two people. As an experience an overnight stay in the Wilderness Camp begins at 6pm where you will be transported by snowmobile to your hut. You will be shown how everything works before being left to enjoy the wilderness and the Aurora alone. 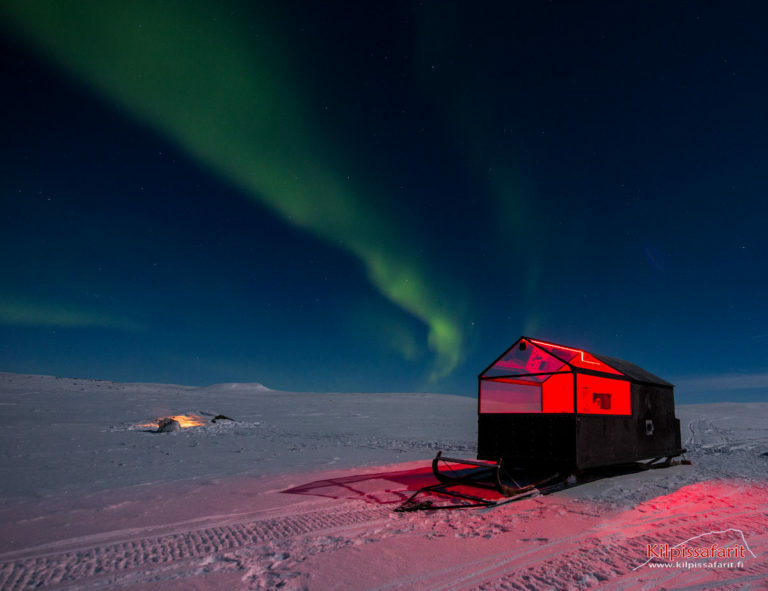 Local snacks and hot drinks are included as well as an Arctic grill for dinner and breakfast the following morning.